Several years ago now (I KNOW!) a became friends with some remarkable women through this blog. A few weeks ago one of those, the MIGHTY Eleanor (from the commentbox) hosted a lunch at which we were honoured to meet some of her ‘real life’ friends. Naturally I had a fillerbuster of a day getting there, trying to fit in way too many things before heading across town. I arrived in a complete snit after leaving home late and then being held up by some first-time-in-60-years resurfacing of the Harbour Bridge and stupid Eastern Suburbs traffic in which everyone must drive nice and slowly so everyone else can notice they’re driving the latest Lexus, Mercedes or BMW. That and the small but important issue of me taking a wrong turn. Details. But as I walked into Eleanor’s serene abode (also alarmingly devoid of dust, I think she could be a witch) the blood pressure dropped, the tension in my shoulders eased and I proceeded to spend a sublime number of hours in the company of smart, funny women. Truly divine. I was on dessert duty and on offering a fruit, custard or chocolate option our host chose chocolate. Making this tart does not require any special cooking talents but it does require time. As that afternoon at Eleanor’s reminded me, sometimes the best thing to do is stop. Slow down. Take one step at a time and savour each step. It’s one of the reasons I love making things like this – you have no option but to slow down and in slowing down you take more care, enjoying the process as much as the outcome. Having made this twice I can say that the flavour is more developed – ie better – the next day. 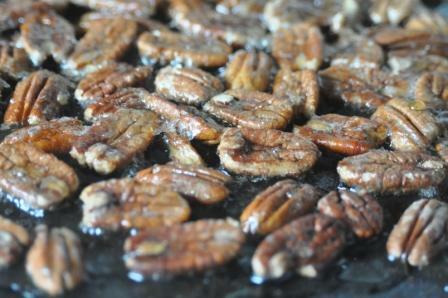 I also use pecans as I am obsessed with them. 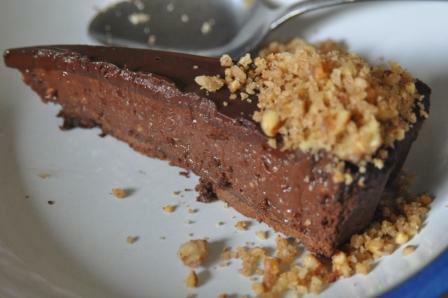 So gather your ingredients, set aside some time and make something outrageously decadent with love. It makes everything better. 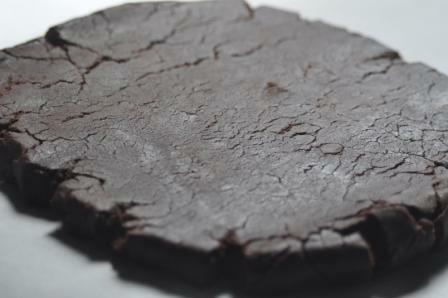 Preheat the oven to 180 and roll the dough out to 3mm thick to line a 28cm tart case. I find the trick to this is to let the dough come back to room temperature and to then roll out between two sheets of baking paper. It is a really short pastry so don’t worry if it breaks, just smoosh the edges together. Refrigerate for an hour and then bake blind for 8-10 minutes. Remove paper and weights and then bake for a further 8-10 minutes. Don’t worry if it’s cracked, the filling is solid enough it won’t pour out and turn the whole thing into a red hot mess. Spread the hazelnuts (or your nuts of choice, mine are pecans) on an oiled baking tray and set aside. 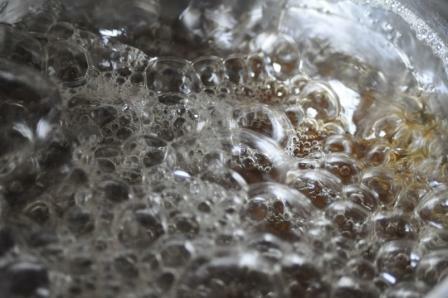 Combine the sugar and 60ml water in a small saucepan, stirring until the sugar dissolves. Bring to the boil and cook until dark caramel in colour (4-5 minutes) then pour over nuts. Stand until cool and set (8-10 minutes) and then process in a food processor until finely ground. Bring the cream to the simmer in a small saucepan over medium heat, add the chocolate and stir until smooth. 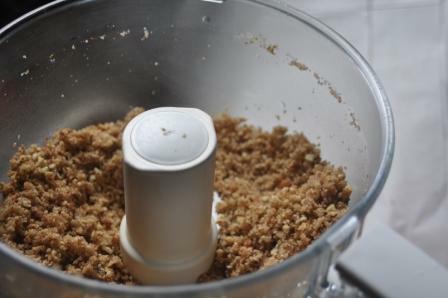 Remove from heat and stir in two-thirds of the praline mixture (reserving the remaining to serve). 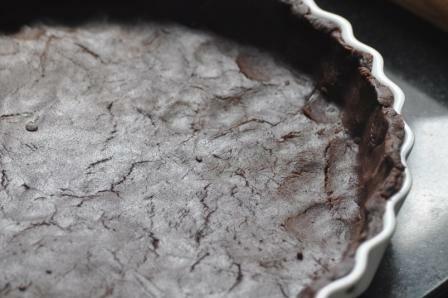 Spoon into pastry case, smooth top, refrigerate until just set (1½-2 hours). Combine cream and milk in a small saucepan, bring to the simmer then add the dark chocolate. Remove from heat and stir until smooth. Spread over the tart and refrigerate until just set (45 minutes-1 hour). Cut into wedges with a hot knife and serve immediately scattered with reserved praline. Seriously, it’s a tart that makes everything better.